Traditionally Canada has not been known for its gambling culture. Over recent years though with the poker craze going wild, together with a government adopting less rigorous regulation on gaming than its neighbor, it’s slowly become one. We’ve gathered a list of the top 20 Canada-based online and offline gamblers (who were either born or immigrated to Canada), and wrote a bit about their fascinating life stories. Feel free to share the list, and send us additional suggestions via our contact form. Aspiring to become professional gamblers? Read this. Born in Quebec City, Quebec (1959). Why does he deserve a spot on this list: Guy is a late bloomer in the poker world because he ironically spent the majority of his life forming Cirque du Soleil. In April 2007, he won $696,220 at the Bellagio in Las Vegas. What makes his poker career legendary is that he also gives make winnings to charity. 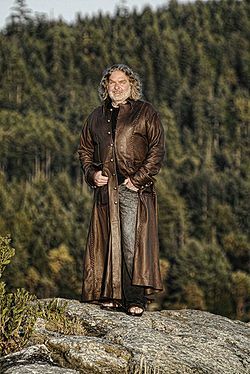 Short Bio: Guy Lailberté founded Cirque du Soleil in 1984 with a small group of partners and it was so successful that the Canadian government wanted it to tour other provinces. This made Lailberté a significant amount of money, which is why it made it somewhat comical that he surfaced in the poker world. After winning big in 2007, Lailberté began to get offers to play on GSN’s Season 4 of their High Stakes Poker series. Additionally, he participated in Poker After Dark for Season 4. That being said what really made Lailberté the respected philanthropic gentleman that he is, was his Big One charity outreach in which he bought in $1 million dollars for charity in the 2012 World Series of Poker. Part of these proceeds were donated to the One Drop Foundation. A total of 48 players played with a total donation of $5,333,328 for charity. Type of Gambler: Professional Poker Player both live and online. Why She Deserves a Spot on This List: Since 2010, her total live tournament winnings has exceeded $375,000. She became famous in 2003 after beating several American poker players including: Annie Duke, Jennifer Harman, and Kathy Liebert. 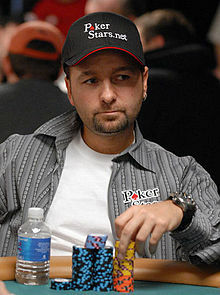 She also dated Daniel Negreanu for a time. Short Bio: Evelyn Ng is one of the top female poker players in Canada. She became famous for her over aggressive poker style. Principally, she was sponsored by PokerStars but has since moved over to Team Bodog. She has fostered both an in person and online presence. Her best performance was in the WSOP Main Event in 238th place out of 6,844 players in 2008. Born in: Toronto, Ontario (1974). Type of gambler: Professional poker player – online, and off-line in both tournaments and cash game. Why does he deserve a spot on the list: The most accomplished Canadian poker player with 6 WSOP bracelets, 2 WPT wins, and Card Player Magazine player of the year for 2004. Beyond his tremendous success on the live felt, he has also done remarkably online, which has won him a place of honor as the most recognizable representative in Team Poker Stars (https://www.pokerstars.uk/team-pokerstars/daniel-negreanu/). Born in: Calgary in 1951. Type of Gambler: Primarily online sector. Why Does He Deserve a Spot on This List: John Lefebvre deserves an “administrative spot” on this list in that he started his empire first in other business ventures. However, he founded NETeller – the premiere online money transfer facility for the online gambling sector. He is also perhaps the only person on this list who has been arrested. Short Bio: John Lefebvre has historically worn many business hats including: singer, composer, entrepreneur, retired lawyer, convicted felon, and online poker money transfer extraordinaire. His other ventures aside what makes him a candidate on this list is his involvement in co-founding NETeller the e-payment gateway in 1999. His online payment activities brought him to the attention of the U.S federal authorities and he was convicted of money laundering and conducting illegal online gambling transactions from NETeller. A payment settlement to the U.S authorities eventually closed the case. Born in Israel in 1980. He was raised in Montreal, Quebec. Why He Deserves a Spot on This List: Baazov is currently the CEO of the Amaya Gaming Group, which is the largest online gambling company in the world. He made Canada a powerhouse in the industry when when he purchased Full Tilt Poker and PokerStars the two largest online poker rooms. In 2014, Forbes published an article about Baazov calling him the young king of online gambling. Short Bio: One of six children Baazov was born into an Orthodox Jewish family in Israel. He moved to Canada when he was one and excelled in mathematics in school. He became disinterested with Judaism at 16 and upon telling his parents was thrown out of the house. He received his big break when he received a large project to work with computers in Montreal’s public library for $20,000,000. At this point, he decided to get into software development and created an electronic poker table that allowed people to play poker without a human dealer. This is how Amaya was born and has continued to make Baazov enough capital to purchase his stake in the online gambling business. Born in: Lloydminster, Canada in 1961. Type of Gambler: Mainly an online gambler. Why He Deserves a Spot on This List: The founder of Bodog, he also purchased slots.com for a record $5,500,000 price. Short Bio: Ayre is known for his outlandish public behavior and for being a bold businessman that adores making headlines. Some call Ayre the original king of Canadian online gambling as he started Bodog, now one of the top online gaming sites in the industry. Ever since Forbes published an article on his extravagant purchasing style in 2006, Ayre presence has soared. Born in Ontario in 1989. Type of Gambler: Live Poker Player and online. Why He Deserves a Spot on This List: He was the third player in Canada to cash in more than a $10,000,000 win. He won $300,000 online before he was even at the legal age to gamble. Short Bio:McDonald started player poker in the 11th grade. He began making his money online and quickly earnt enough to buy a Lamborghini. 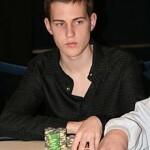 He won his first tournament at 18 and now at 24 is a leading player at live poker tournaments. Type of Gambler: Online Poker Player and Live Poker Player. Why He Deserves a Spot on This List: Mike gained popularity in 2008 when he won $1,630,000 at the Bellagio Cup. He boasts $6,700,000 in lifetime table earnings. Short Bio: Mike has made a great deal of money at both online and live tournaments. As of 2014, the total amount of money that he has won in live tournaments is $7,200,000. Additionally he finished 3rd in the European Poker Tour with a cash out of $422,750, and in 2016 he won the first event of the European Poker Tour. Born in Ontario in 1968. Type of Gambler: Live Poker Player. Why He Deserves a Spot on This List: Smith’s expertise is Texas Hold’em. He has won and ranked quite impressively in many poker championships around the world and has won several poker bracelets. His earnings overall exceed $5,300,000 without his TV appearances. Short Bio: Smith began playing poker at the age of 26 with his parents. Shortly after, he became a poker dealer and began to compete in tournaments. He quickly built enough of a bankroll to put his career as a taxi driver and golf course caretaker aside to win several world poker tournaments. In May 2005, he won first prize in the World Poker Tour of $1,128,278. He placed 471st in the 2005 World Series of Poker and 592nd in the 2007 World Series of Poker. Additionally, he earned his first WSOP bracelet in the Mixed Hold’Em $2,500 Event. Born in Toronto in 1986. Type of Gambler: Online and Live Poker player. Why He Deserves a Spot on This List: He boasts winnings greater than $2,600,000 in live poker winnings. He placed 15th at the World Poker Championship at the Bellagio in 2007. Born in Hong Kong in 1970. He then moved to Vancouver. Why He Deserves a Spot on This List: He earned a WSOP bracelet by beating Richard Murnick in a legendary poker match and has since earnt roughly $1,500,000 in live winnings with his online winnings exceeding $2,000,000. 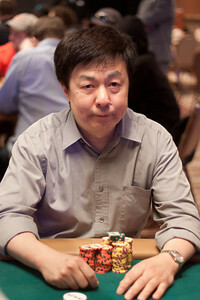 Short Bio: Robert Cheung made headlines when he beat Richard Murnick, whilst his real notoriety came when he created an infamous online screen name called “Runninggreat.” He is known for being the first player to beat an opponent in three consecutive hands in live tournaments. In recent years, Cheung has fostered his online presence more than his live poker winnings. Born in Boucherville, Quebec, Canada in 1987. Why He Deserves a Spot on This List: Duhamel is best known for winning the $8,900,000 WSOP prize in 2010. 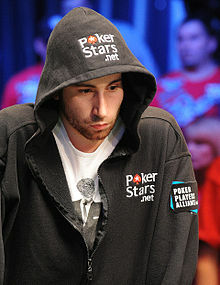 Short Bio: Duhamel became known from being the first Canadian to win a main title at the World Series of Poker in 2010. He won a bracelet at that event and since became a poker force to be rivaled with. Upon winning, he donated $100,000 of his winnings to Montreal Canadians Children’s Foundation – one of the largest single donations the organization has ever received. Since that win Duhamel has been taking on poker tournaments all over the globe and has won $12,400,000 in live tournaments. Type of Gambler: Live Poker Player and Embezzler Extraordinaire. Why He Deserves a Spot on This List: Even though many of the gamblers have been above board on this list, sadly there is still some crossover between poker and the criminal world – the reason why Molony is the poster child for the Canadian gambler gone rogue. 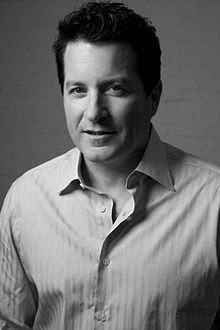 Short Bio: Brian Molony is infamous for embezzling millions from the Canadian Imperial Bank of Commerce, the second largest bank in Canada to satisfy his gambling habit. On the outside Molony was a cheap man who barely tipped at restaurants; however, he was busy embezzling $10,200,000 to gamble on his weekends. He created a shell company to deposit money to Las Vegas Casinos to pay his debt at the gambling tables. Molony was finally caught at Caesars Atlantic City Hotel-Casino and pleaded guilty to embezzlement in 1983. Later a movie about his exploits was created called ”Owing Mahowny”. Why He Deserves a Spot on This List: Buchanan won the World Poker Tour with a cash out of $768,775. In 2011, he was on the leader board among the world leaders of the poker players of the year point rankings. Short Bio: Buchanan made a name for himself in the poker world when he won his first tournament in 2007 with a cash out of $768,775. Since then, he has made major waves in both the online and live poker world. Some of his more top stats are: acquiring live tournament winnings in excess of $4,450,000 and placing in the top 10 on both the 2010 and 2011 WSOP. Additionally, Buchanan has become an online poker guru online with his screen name of “buck21” on PokerStars. His highest cash out with that screen name has been $97,262 for the first place. Born in Vancouver, British Columbia in 1976. Type of Poker Player: Online and Live Poker Player. Why He Deserves a Spot on This List: In 2009, his live poker tournament winnings exceeded $710,000. Additionally, he has appeared on Poker After Dark. Short Bio: Booth made a name for himself by appearing in High Stakes Poker and Poker After Dark. Soon after, he went by the nickname of “Yukon Brad” in the poker world. Booth was involved in a scandal in which he was supposedly cheated out of $2,000,000. Since this transpired he has been on a losing streak that many poker observers believe is the end of his career. 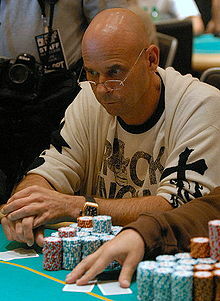 That being said Booth had a top career for fourteen years and was praised for being one of the best poker players in the world by Phil Hellmuth. Why She Deserves a Spot on This List: Isabelle is a unique pick as first started out as a lawyer going to the Université de Montréal before getting a Master’s Degree in Paris. To fund her studies she worked as the Poker room manager at the Aviation Club de France and learned a few tricks of her own, mainly, how to win! Short Bio: Isablle Mercier is one of my favorites on this list giving up a secure career as a lawyer and beating men at poker! She first turned heads when she won the 2004 World Poker Tour for the $25,000 cash prize and was given the nickname “No Mercy.” Since then, she won 10th place at the 2005 European Poker Tour in Monte Carlo and won the PokerStars Ante Up For Africa Charity Tournament in Monte Carlo in 2009. Mercier has made several documentaries and was recently hired by BetClic as a consultant for their online betting site. Born in Guelph, Ontario, Canada in 1985. Why He Deserves a Spot on This List: Radoja possesses live tournament winnings exceeding $1,500,000. 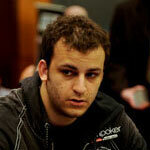 Short Bio: Radoja has won a great deal of his earnings at the WSOP. To date he has won two WSOP bracelets: $5,000 No Limit Hold’em – Shootout for $436,568 and $10,000 No Limit Hold’em – Heads-Up for $336,190. What makes Radoja a candidate for this list is that of his $1,500,000 in reported winnings, an impressive $1,469,638 has come from the WSOP. Why She Deserves a Spot on This List: Her live tournament Blackjack winnings exceed $40,000 and she is endorsed on a CBS Blackjack tournament show. Short Bio: Monica is a former fashion model who began her poker career in 2005. She was tutored by the industry expert Jim Worth. What got her noticed was when she placed 114th in the Aruba Classic. Her fame further increased when she won a big Blackjack Tournament televised by CBS called the Ultimate Blackjack Tour. This landed her a number of TV endorsements. Why He Deserves a Spot on This List: Jamie Staples carved himself a niche in low-stakes poker, which maked him a major player for PokerStaples. Jamie Staples is a rising poker star to keep an eye on. Short Bio: Jamie Staples got his fame by specializing on low stakes online poker for Twitch.tv. Jamie Staples is a young celebrity to watch with his career just beginning to blossom. He was voted the largest poker streamer in 2016. He is just beginning to dabble in the live poker tournaments and has won $9,000 to date. However, he also already won winnings to exceed $550,000 on his online poker tournaments. It is likely that we are going to see a lot of Jamie Staples in the future. Born in Toronto, Ontario, Canada in 1985. Why He Deserves a Spot on This List: To date, he has over $2,000,000 in live poker tournament winnings and just received an endorsement deal from Full Tilt Poker. Short Bio: Peter Jetten won his first online poker tournament while he was attending the University of Ontario. He decided to drop out of school early to pursue his poker career. This proved to be a great investment for Jetten as he finished 8th at the WSOP Tournament in 2006. In 2008, he placed 2nd to Marty Smyth in the $10,000 World Championship Pot Limit Omaha Event which had a cash out of $500,000. Shortly after, he earned 4th place in the High Roller Event of European Poker Championships in London for $300,000. Peter Jetten’s impressive career was bolstered by his remarkable online success. In 2004, he placed two bets totaling $75 and turned that $75 into $100,000 in one year. To date, he has netted $650,000 in online tournaments. It is likely that we will see even more success from Jetten in the future. That concludes our selection of the 20 most famous Canadians gamblers. Be sure to check other popular pages on our website. If you’re looking to start playing online, check out our beginners guide and find the top Canadian casinos on our homepage.